Students will find important information and guidance regarding their Interface Usability assessment. Interface Usability gives you an advanced study of Interface Design and Evaluation. It explains different contexts that affect interface design and will employ design and usability methods to evaluate and design interface. b. Demonstrate and articulate the significance of the design methods that are suitable for the design of an interface. c. Appraise the effective usability of an interface and recommend alterations to develop its usability. 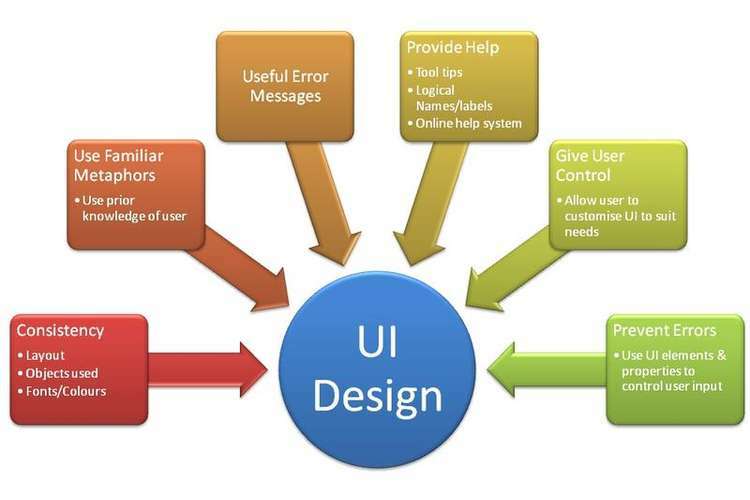 d. Design a user interface to meet a provided set of requirements. e. Design a usability strategy to make sure that an interface meets its objectives. A student must achieve a pass mark in minimum 4 or 5 assessments and a get the total mark of minimum 50% to pass this subject. To complete these assessments students are provided a case study in which you require to develop a concept design for Sydney Toll Roads. We provide this case study for reference purpose only. Students will find an actual case study in their assignments. To complete this task you need to develop minimum two different initial concept designs that would meet the requirements of the Sydney Toll Roads as given in the case study. You need to read the case study carefully. You will need to make a presentation for the Sydney Toll Roads to display your concepts and recommended design. You require developing the design for the Sydney Toll Roads Mobile App according to the provided case study. 1. Select one of the alternative designs produced by the team to be the design that will be produced. Navigation between pages like buttons, breadcrumb trails etc. A description of the navigation path that a user would take through the Mobile App. You need to conduct a usability evaluation of another teams design. 1. The team will be required to evaluate a design for usability issues. 2. The team can use either the Neilsen & Molich heuristic or the DECIDE framework for the usability evaluation. d. Probable remediation activities that could solve the issues found. 4. Indicate in your team forum the reasoning behind your evaluation decisions. This reasoning must demonstrate input from each member of the team. To complete this assessment you need to make the final design for the Sydney Toll Roads Mobile App. The Team will be required to make a working prototype in presentation mode. 1. Your design has been a success and you have been asked to write a paper that describes how you designed and why you chose that particular interface. You will need to discuss how your design meets the user requirements and enhances their experience. You should mention what factors influenced your design, how they influenced it and why. You should discuss similar interfaces that have given you the ideas or elements that you have used. You will also need to discuss the reasoning behind your design and WHY YOU think that this design is the best solution to this particular problem. Your discussion should not surpass three (3) pages in length, apart from references. You will need to reference all literature; applications or websites mentioned using the APA 6th edition referencing style. In completing this assessment, students face off different problems such as properly understand the subject and its process, implementing Neilsen & Molich or DECIDE framework, setting wireframes etc. Students can take help and guidance from our technical experts to make a high-quality assessment. We provide blog posts for students and guide them to understand the topic properly. Our aim is to help students in a best possible way so that they can achieve better grades. The price is subjected to a specific part of this assignment.